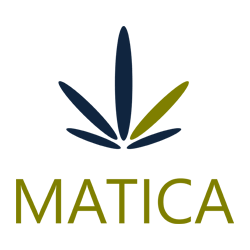 February 12th, 2018 – Toronto, Ontario – Matica Enterprises Inc. (MMJ – CSE) (39N – Frankfurt) (MQPXF – OTC) (“Matica” or the “Company”) is pleased to provide the following update regarding the issue of common shares by Matica. Our next release of financials, audited for the twelve months ended December 31, 2017, are not due to be filed until April 20, 2018. The Company has therefore chosen to disclose the number of stock options, warrants, and broker warrants exercised and the corresponding amount of dollar inflows as management has deemed these to be significant information for the shareholders and the investing public. The above have resulted in the Company having 262,807,191 common shares outstanding at December 31, 2017. This news release contains statements about the Company’s information that are forward-looking in nature and, as a result, are subject to certain risks and uncertainties. Although the Company believes that the expectations reflected in these forward-looking statements are reasonable, undue reliance should not be placed on them as actual results may differ materially from the forward-looking statements. The forward-looking statements contained in this news release are made as of the date hereof, and the Company undertakes no obligation to update publicly or revise any forward-looking statements or information, except as required by law.